The ZIS Pro is the culmination of years of crank design. This model has increased versatility and reduced costs immensely, and provides the ultimate crank for a tall cyclist. 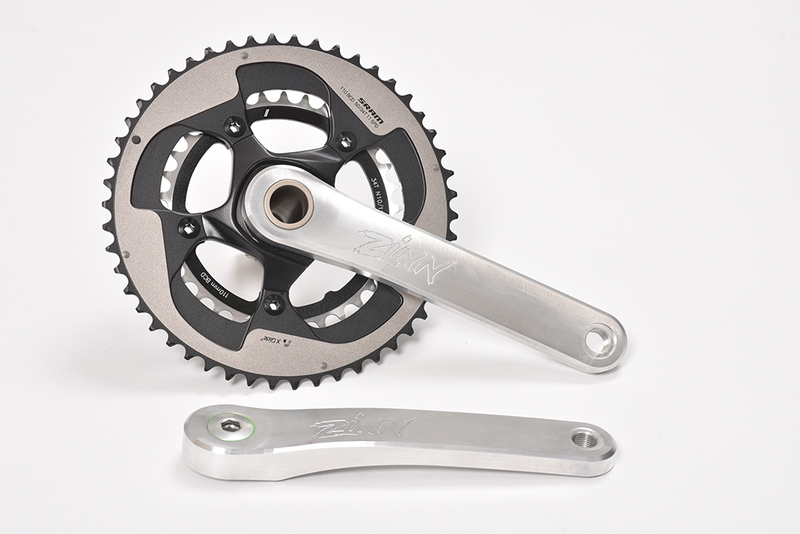 Available in 190 to 210mm and easily adaptable to all chainring sizes by utilizing the SRAM Direct mount interface. You can install a 110bcd (Compact) Spider for use with 34/50, 36/52, or 38/52 chainrings or a 130bcd spider for use with 39/53, 42/56, or 42/52 chainrings.